Coventry Resource Centre for the Blind is a registered charity that provides practical and social support for people with a visual impairment in the Coventry area, and their families and carers. We offer a wide range of activities including social, music, allotment, art and craft clubs as well as training sessions in computers, smartphones and tablets, cooking and sign language. We also provide hands-on access to products and technology designed to make living with a visual impairment a little easier. And it’s easy to get here, too, with our door-to-door minibus service. Find out about all our services in these pages. Above all we guarantee a warm welcome in a safe environment. "I don't know where I'd be without the Resource Centre. They've been so helpful. It's really helped me along." Charity Quiz Night & Raffle were a HUGE success! 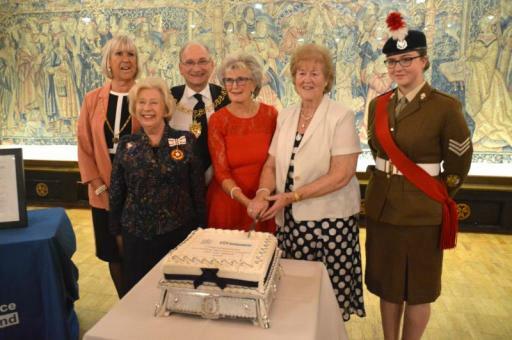 THE RESOURCE CENTRE RECEIVES QAVS! We are delighted to be awarded the highest honour a charity can receive for our outstanding work in the community. Thank you to our special guests, our volunteers and our friends who came along to celebrate our success! Located in Earlsdon, we’re within easy reach of the city centre and War Memorial Park. If you’re coming to visit & need a map to find us, you’ll find one on our Finding Us page.